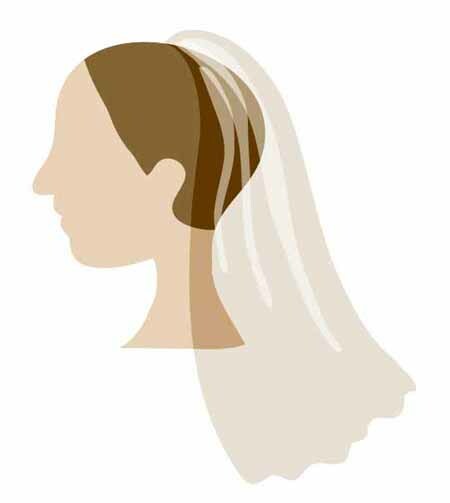 The single tier veil is attached to the back of the top of your head, and please check the veil length and width page, if you want to know more about it. 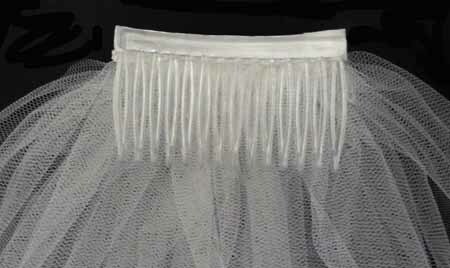 This sample is a knee length veil and uses the 7 cm plastic comb. If you would like to make a shorter or longer veil or use a different comb length, please adjust the measurements below. 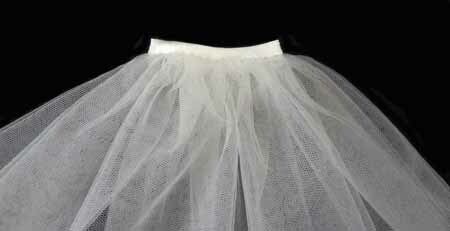 Fold the tulle left side to right side and cut the bottom 2 corners together, and open again. Fully sew the top left side to the right side with by hand plain stitch or sewing machine. 5mm seam allowance is good. Gently pull the thread at both sides to make the gather. 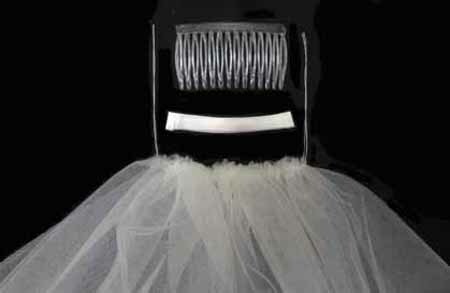 Attach the satin bias tape and comb to the tulle. 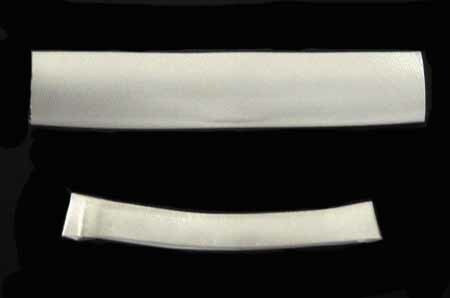 and match to the comb length about 7.5 cm. 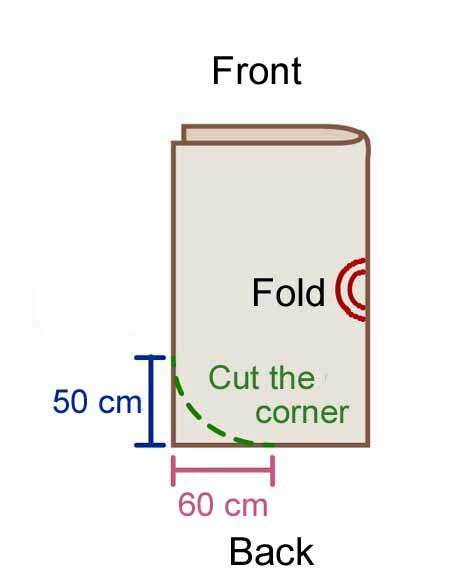 Fold from top to bottom. 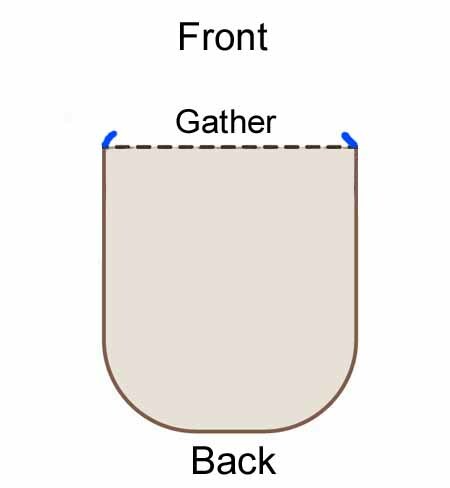 Cover the gathering part with the satin bias tape. Attach the lace trimming, beads or crystal on the edge, if you like.